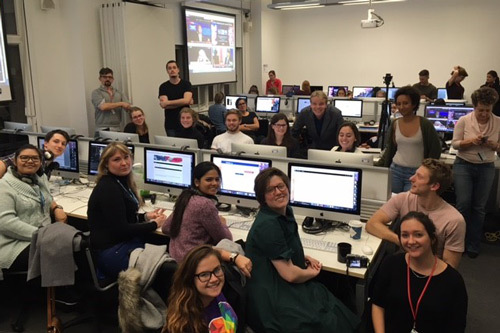 Students from City, University of London worked through the night to provide wide-ranging coverage of the US presidential election. 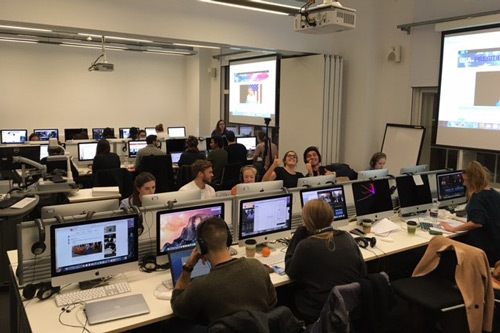 The team, from the MA International Journalism programme, ran a newsroom and wrote content for their own website, reported from remote locations around London and produced videos. Students worked from their hub at City, with team members also based inside the US embassy and the Democrats Abroad headquarters. They posted content on their website, www.usa-election2016.com, as well as their Twitter and Facebook pages. Dr Zahera Harb, Senior Lecturer in the Department of Journalism, said it was a highly successful night’s work for the team. She said: “The students ran full, live newsroom coverage of the elections and experienced real newsroom pressures – trying to report and reflect, while keeping in mind the need to be accurate and fair in their coverage. They showed a high level of responsible reporting by applying a strict regime of news and source verification.